Who doesn’t like getting mail? 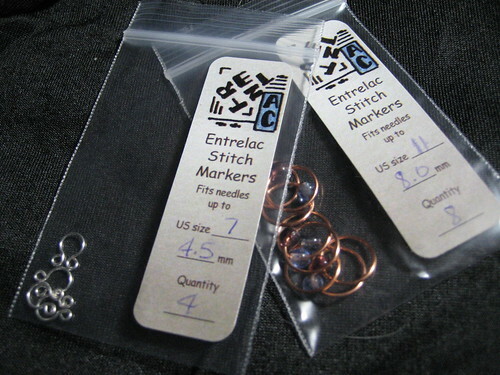 Not only do I now have my awesome Entrelac stitch markers (ok I admit those came in last week but I haven’t blogged about them yet). I have some of her Sterling Silver Omega lace markers and some of her standard sized copper wired markers with purple and blue glass beads. 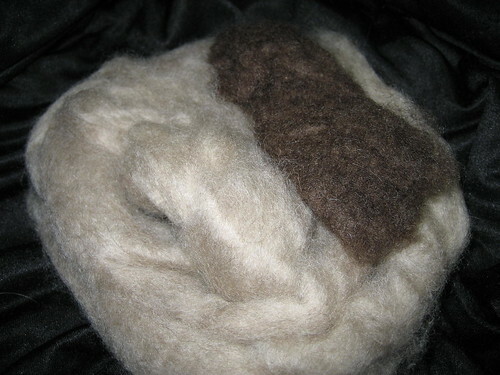 All courtesy of my spinning SP from the knittyboard. Thanks SP!! 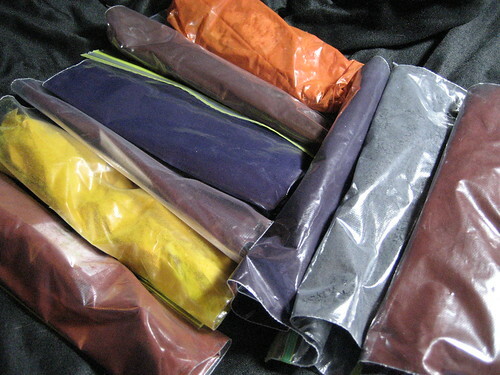 but now I have a hefty amount of dye for the fiber dyeing. 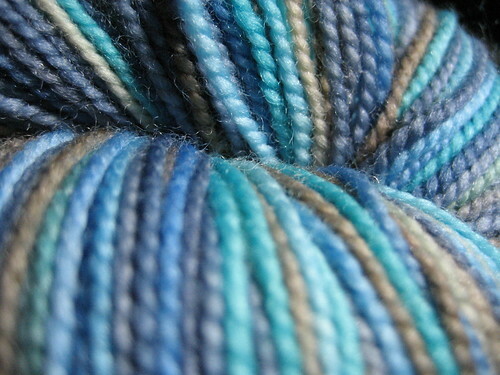 That is some 100% merino sock yarn from Artsygal, colorway Seychelles. That I got to name!!! It reminded me of the beaches in Seychelles and even though it’s been about 24 years since I was there I still remember those amazing blues and greens of the ocean. 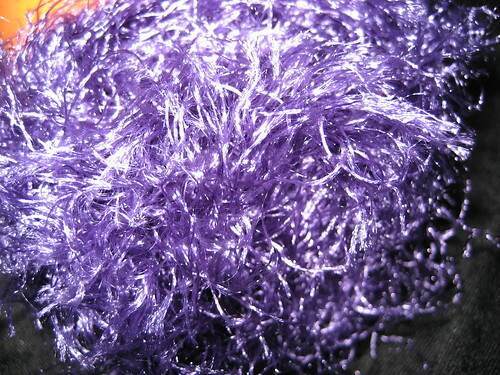 Yup purple fun fur. I couldn’t fathom how she thought I would want this and I started to really wonder about spending a whole week in her company this August when I noticed the wrapper. Phew!!! It’s an inside joke involving a certain someone who invaded knittychat for a while. She would come in and out under different names, was selling items online from copyrighted patterns, got nasty with other members when they would try to help with her questions and all in all made chat very unpleasant for some people. 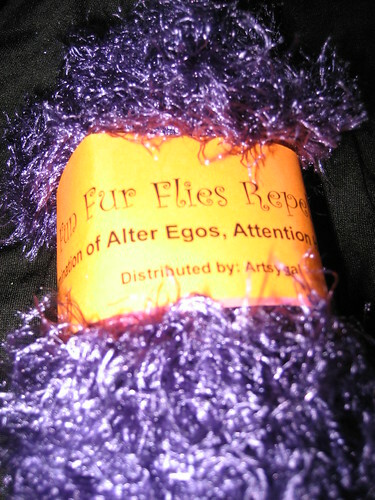 One nickname was purple related and she was a big fan of fun fur so now I have a ball of purple fun fur flies repellent. Now what do I do with it? Now as if that wasn’t enough there was a mystery baggie (no not that kind of baggie) filled with this. Need a closer look to figure out what it is? Lucky girl! My No Sheep For You SP hasn’t coughed up yet… only 8 more days! You got some gorgeous gifts there KK! I wish I could get mail like that, but I doubt I could fit any more fibre in my tiny little apartment… hmm I wonder if I can get SO to sell off some of his Hockey memorabilia… nah that’s not fair. Enjoy it! 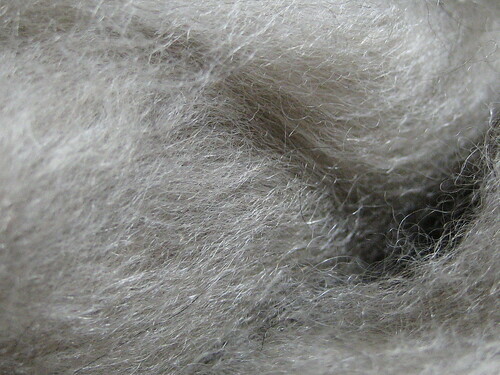 I look forward to seeing the fibre spun up! « Vacation fiber/yarn doesn’t count right?